Joint problems aren’t limited to humans only; animals suffer from them as well. They can cause your pet to feel uncomfortable and even pain. As responsible pet owners we are supposed to do all we can to prevent this from happening; it is however, and most importantly, much easier than dealing with the consequences later on if we don’t. So, what can cause joint problems in dogs? Age – The older your dog, the more chances there are he or she will suffer from this condition. Breed – large and giant breeds have to support more weight and are much more prone to joint problems than smaller dogs. This is why it is very important to think about the future and start protecting your dog as soon as possible. Weight – Overweight dogs, a growing (no pun intended) and serious problem here in the UK, have a much greater chance of developing joint problems than their slim cover-girl friends. Remember, you can really hurt your dog with love. That extra sausage given as a treat just for being sooo cute will go straight to their hips. Accidents – Unavoidable usually, but is your house safe from slippery floors or heavy things knocked over with an excited tail? Infections – Significant reductions in the chance of this occurring can come from a good diet and exercise. Genetic predispositions – Check out the parents if you can especially if you dog is a “mutt”. If it’s a pure breed then the breeder should be able to give you some history and advise you on the likelihood of problems in the future. These are some of the main factors that play a big role in our beloved pets potentially developing joint problems. Can we prevent this from happening? Of this I am not sure. I am tempted to say no, but I believe that we can greatly reduce the chances of it occurring just by following some basic steps. Knowing what can cause joint problems and knowing what to do in order to minimise the chances of it happening will help give your pet a better life and potentially save you and your pet a lot of problems in the future. When we got Bunk, we knew what sort of breed we were getting, we were aware of the increased chance of problems it might hold for us in the future and yet we still got him. We started then and still do try our best to give both him and Lilly the best chance of a pain free life in the years to come. 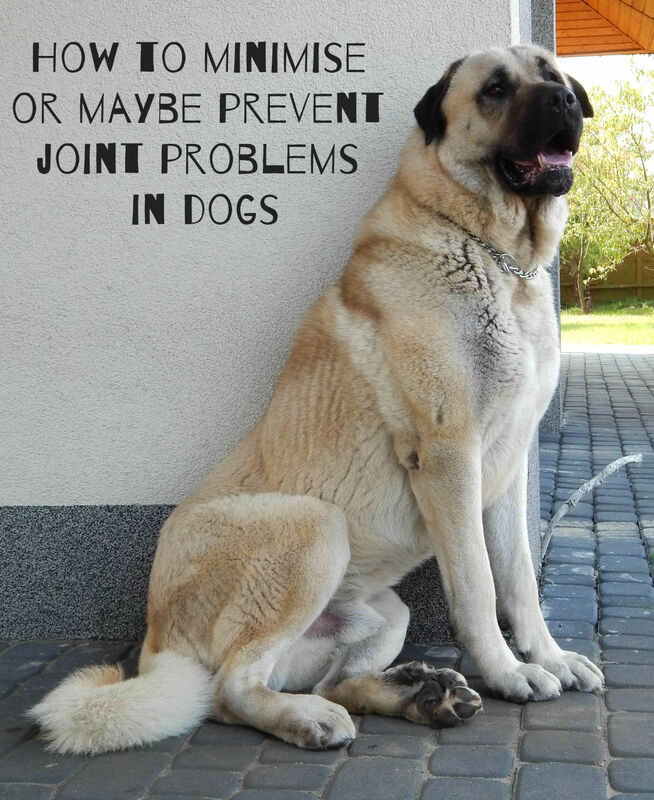 So what can we do to prevent or minimise joint problems in dogs? Whilst we are on the subject of diet I would also recommend adding some fish oil. Research shows that it can reduce joint discomfort as well as promote healthy development. 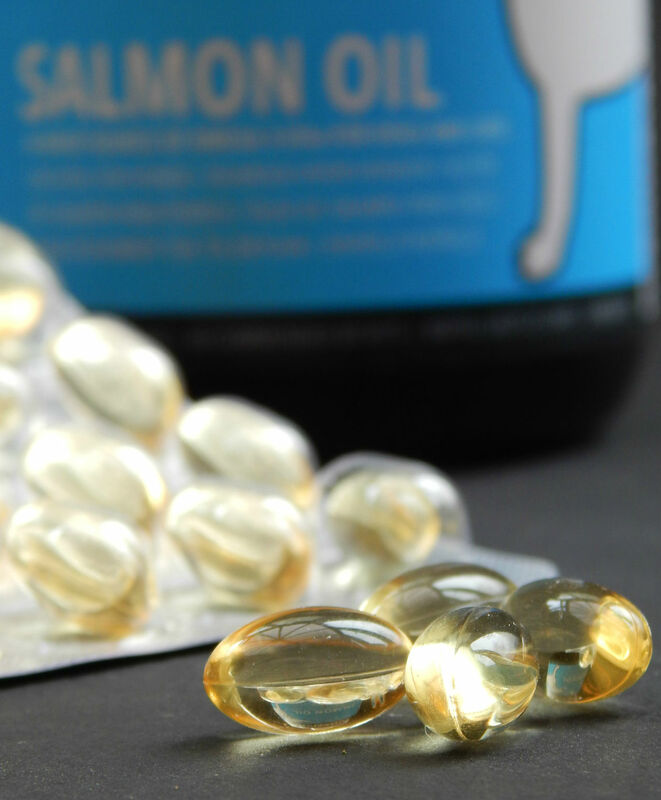 Fish oil contains omega-3 & 6 fatty acids that have greater benefits; it benefits their skin and coat, it improves the immune system, decreased inflammations, helps with energy levels, reduce risk of heart problems etc etc… Fish oil is not expensive, it will not break your bank and it will give real benefits to your dog. As stated above the more overweight the dog, the greater the chance of developing joint problems. Keeping your dog slim is extremely important, simply because their weight affects so much more than just joints. I featured a post about Pet Obesity some time ago, so please read it if you want to know more on the topic. Regular exercising of your dog is a must. Walk your dog as it will encourage movement and the flexibility of the joins and help them stay in better condition for longer. It also stimulates their minds and is their natural state which helps in a holistic way, It will also help with weight control. But like with everything in life moderation, exercising has to be done in moderation; too much or too little isn’t going to benefit your dog in fact it will be most unbeneficial. 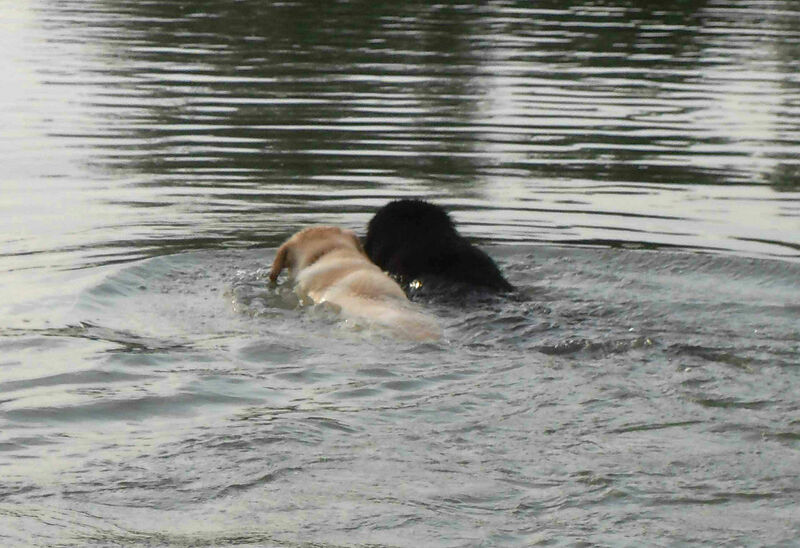 Swimming is highly beneficial for dogs as it doesn’t put any pressure on their joints and helps them relax. I am not suggesting that you have to take your dog to hydro therapy but if you have the sea, a lake or even a stream nearby and your dog likes to get wet, let them. Yes, I know it might not be ideal at times, your dog is all wet, your house stinks like a wet dog, your dog needs a bath… very time consuming but highly beneficial. Imagine how you would feel after an 8 hour long night on the cold hard floor, this is how your dog feels every morning, afternoon and evening. 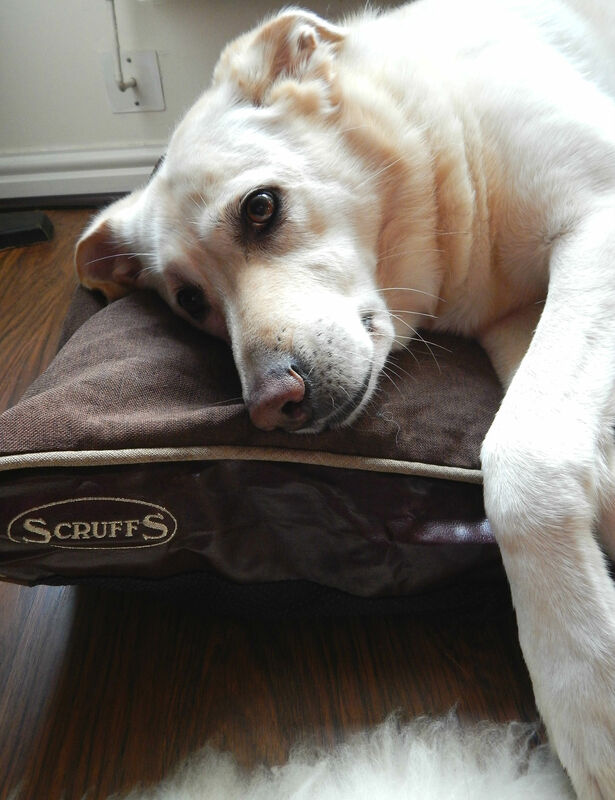 Dog beds are not just an aesthetics exercise, they are necessity! Every dog needs to have a good dog bed. Something warm and comfortable, large enough so he or she can stretch and roll over if desired but most important it has to offer a good lever of support for their joints, back and body, something like this Scruffs Hilton Orthopaedic Bed. I am done. This is my list. I would love to know if there is anything else you would add to it. 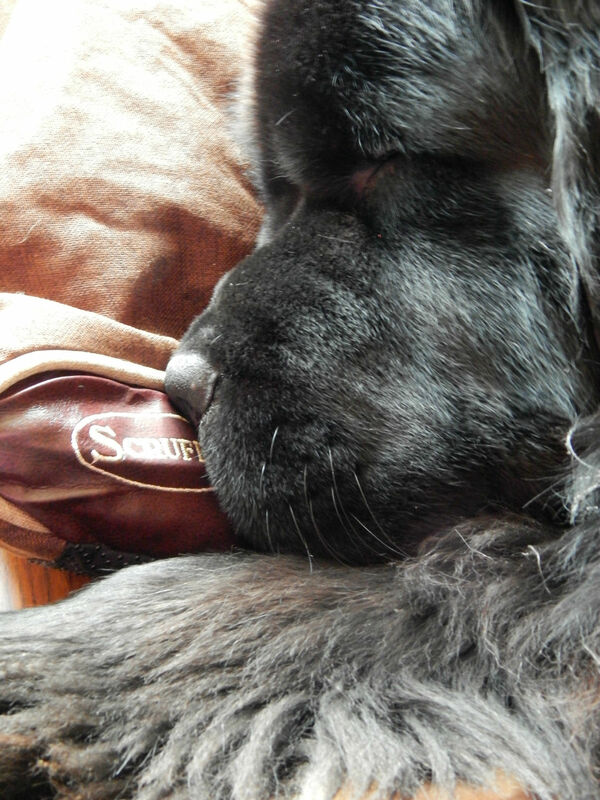 *Lilly and Bunk received 1 bottle of Salmon Oil and a new bed from Pet Shop Bowl. Next > Do you have winter-challenged skin? Botanicals to the rescue! So many doggies seem to have joint problems when they get older. But luckily most can be helped with a change of diet. My sister in law needs this info for you dog. I am passing it along. Thanks! This is great to know! My oldest pup (he 4) broke his leg as a baby and some days has joint soreness so I wonder if this would help? This is great! As the Momma to a lab I’m sure I’ll be utilizing some of these soon! Our late rotweiler had joint problems and she was in a lot of pain. We were able to medicate her and get her nutrition suplements that helped her but finally it was just too much for her and we had to put her down. It was so sad to see the pain she were in and how her character started to change because of it. I am so sorry to hear it Joanna. It is horrible when we are powerless to help ones we love. Jellied pig trotters sound amazing!! We are considering adding a dog to our family next year so this is very helpful. Thanks! My dog is 16 years old and her legs are getting bad now, i give her Loxicom however, she have started falling down steps or stairs so i now bought a baby gate to stop her going up the stairs when i am out and she can only have light exercise, she don’t sleep on any hard surface because she sleeps on my sofa and in the night on my bed with me. I am starting to get worried now however, she don’t seem to be in pain like my other dog who i had to put down due to being in so much pain it was cruel to keep her any longer and she was 19 years old. Is there anything else i could give her to help her joints. Did you try a gentle massage; just to warm up the joints a bit? I know my parents practiced it on their husky and it seemed to work. Nice touch with a baby gate. We will have to put one up for Bunk in the future too.